Dan Ticktum's quest for an F1 superlicence have taken a blow following another difficult weekend in the Asian F3 Winter Series. Dan Ticktum has been knocked out of title contention in the Asian F3 Winter Series, marking a blow to his hopes of collecting the final points he requires for a Formula 1 superlicence. 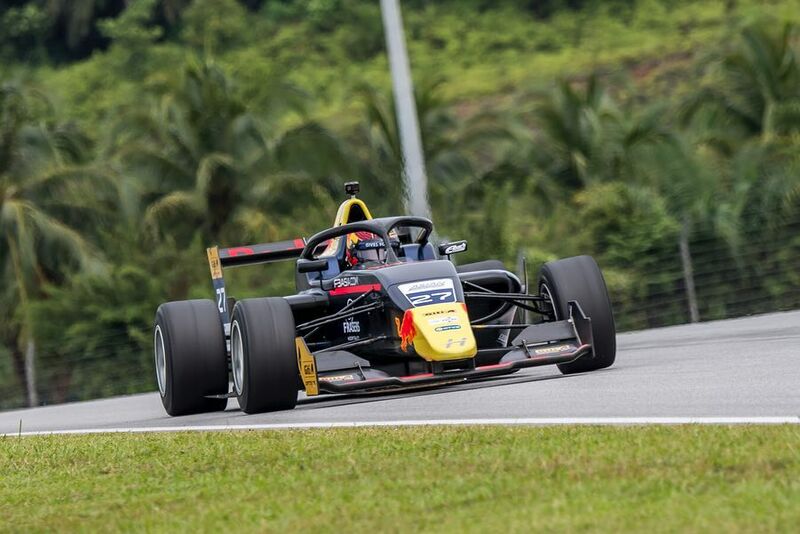 The Red Bull F1 junior is contesting the Asian F3 Winter Series in a bid to boost his current total of 35 points having finished runner-up in the European Formula 3 Championship last season, with 40 needed to qualify for a superlicence and therefore become eligible to race in F1. 10 points are on offer for the victor of the Winter Series and a place in the top three would be enough for Ticktum to accumulate the target he needs. But the Briton has endured a torrid run in the opening two rounds and currently sits eighth in the standings, with just three more races remaining at the series’ finale at Sepang, which takes place at the end of February. The two-time Macau Grand Prix winner retired from the opening race in Thailand and labelled the round as a “disaster” after managing a best result of second place in the final race of the weekend at the Chang International Circuit. His fortunes failed to improve in Malaysia, with Ticktum failing to take the start of the first race of last weekend’s second round. He recovered to fifth in the second race before finishing a lowly ninth in the finale after being hit with a time penalty for overtaking during a Safety Car period. As a result, Ticktum sits 95 points adrift of runaway championship leader and Hitech GP teammate Rinus VeeKay and 35 points behind third-place man Alessandro Ghiretti.